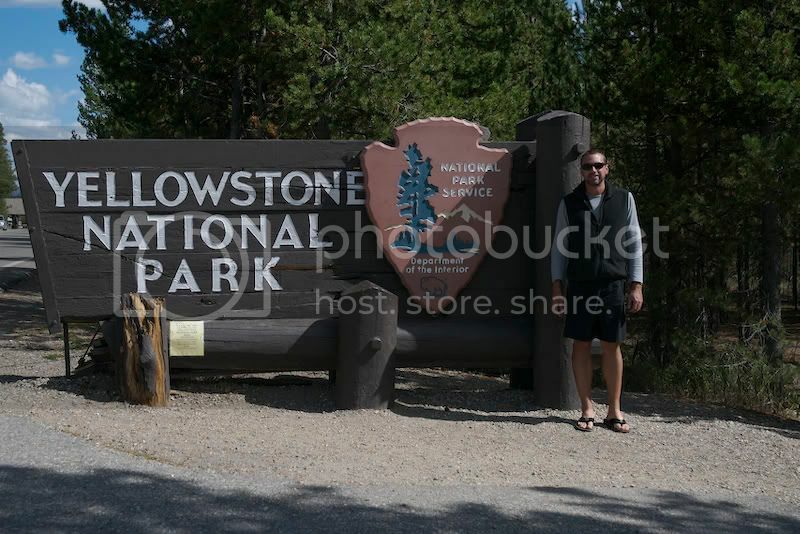 One of the principal objectives of this trip was to visit the granddaddy of all National Parks, Yellowstone. 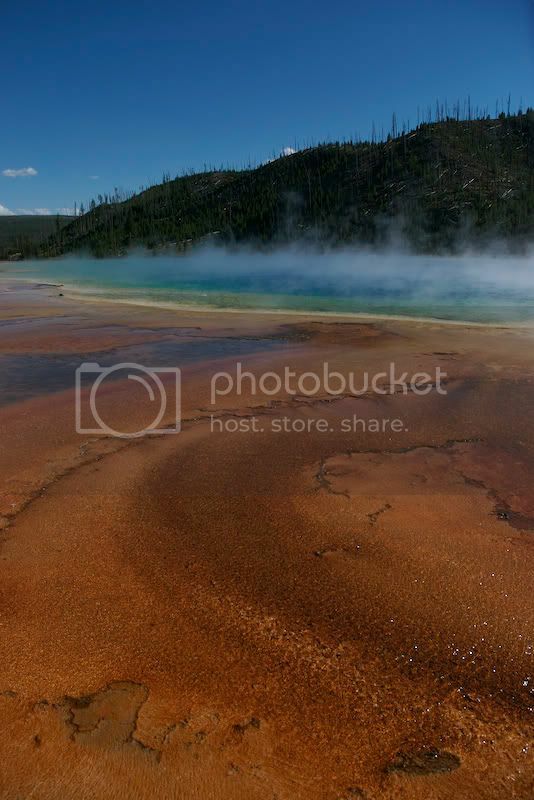 Established in 1872, Yellowstone is the Nation's first National Park and also holds the distinction of being the World's first National Park, although I'm not really sure what that means. 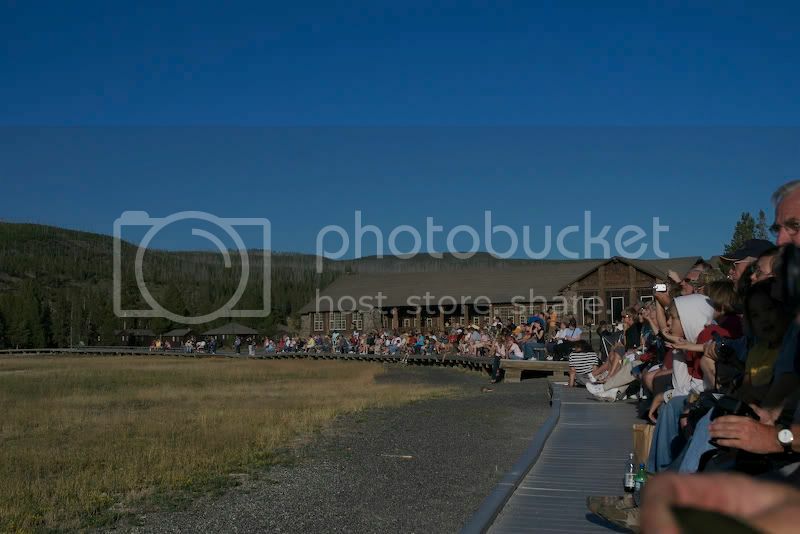 Yellowstone is the most visited park in the system, hosting over 3 million visitors each year. 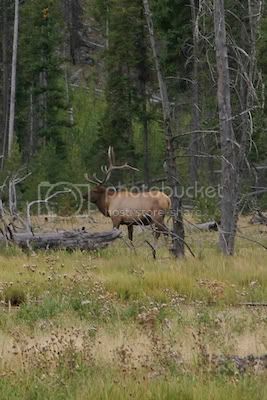 The park's main draws are its varied and omnipresent wildlife (the highest concentration of truly wild animals in the contiguous 48 states, and the largest nearly-intact ecosystem in the Western hemisphere), geothermal features and the Old Faithful geyser. 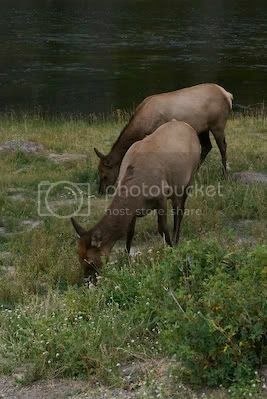 The park itself is quite large, over 3400 square miles and has an impressive variety of landscapes including deep canyons, waterfalls, expansive meadows, the largest "high elevation" lake (over 7000 feet) in North America, waterfalls and enormous beds of geothermal activity. Having said all of that, Yellowstone is more subtle than other parks, and requires at least 3 or more days to appreciate all it has to offer. There is no shock and awe like you might get driving through Yosemite Valley or in front of the Grand Tetons. Instead, you need to spend at least 2-3 days making your way across the entirety of the park's system of inter-connecting roads to see it all. Getting to Yellowstone is not easy. Most visitors travel from nearby Jackson, Wyoming, or longer routes from Salt Lake City, Utah or Idaho Falls, Idaho. There is a Yellowstone Airport outside of West Yellowstone, Montana but its mostly for charter tours and private aircraft. Jackson is about 70 miles away, and Salt Lake is about 350 miles. 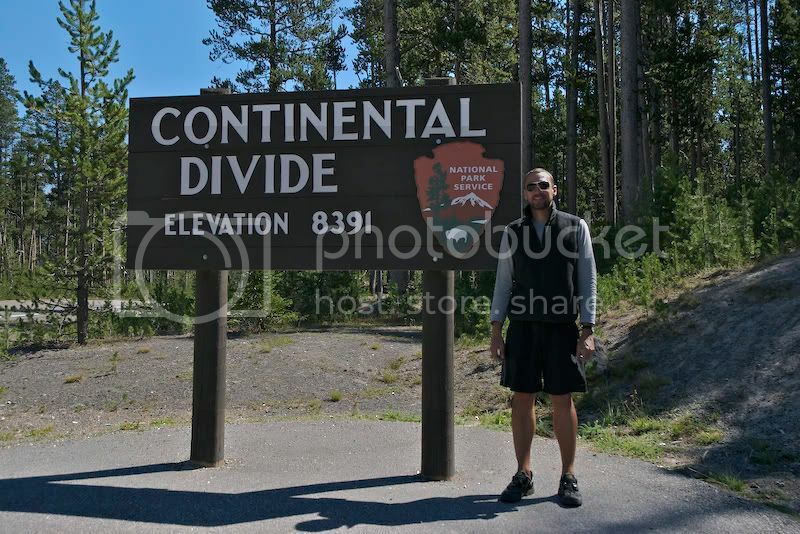 I drove through Idaho up to West Yellowstone, then down toward Grand Teton, which is adjacent to the southern border of Yellowstone. Charter tours are available from almost any inconceivable distance, including the an unenviable bus ride from San Francisco to the park and back in 5 days. I recommend flying to Jackson, served by Delta and United, but the flight can be pricey. 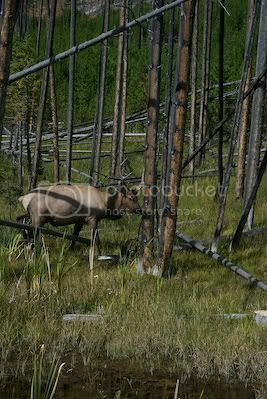 By now I have nearly had my fill of impressive landscapes, so my focus was on seeing wildlife and the many geothermal features of Yellowstone. The park is almost entirely within the caldera of a once-giant and highly active volcano. The park's shape is roughly square and is mostly in Wyoming, with parts extending minimally into Idaho and Montana. If you drew a circle about two-thirds the width of the park and roughly in the middle of its boundaries, that circumference would approximate the size of the ancient volcano's caldera. There's a moderately mediocre made-for-tv movie called, "Super Volcano!" 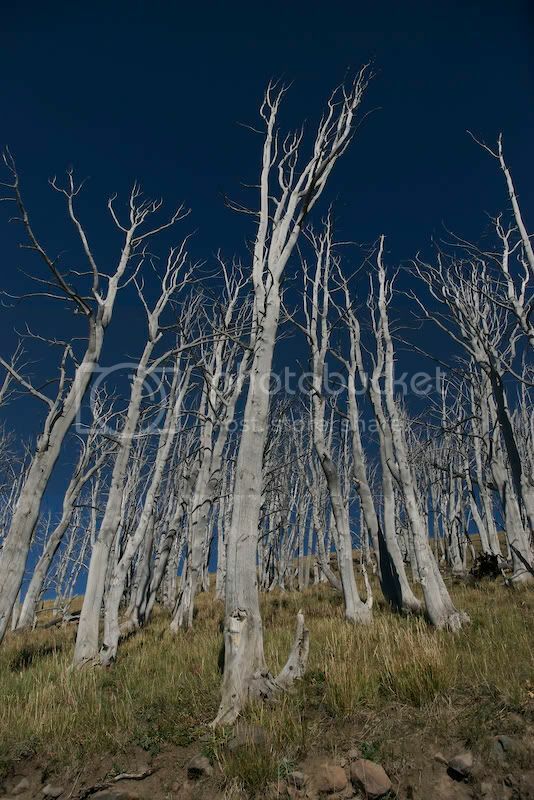 that postulates the effects of the once-great's volcano's resurrection and violent eruption. The science is better than the drama. Anyway, the remnants of this ancient volcanism is still present today. What makes Yellowstone such a unique attraction on the world stage is the following statistic: If you were to add up all the world's geysers, fumaroles, mud pots, steam vents and hot springs, that number would total about 20,000; 10,000 of those are found within the boundaries of Yellowstone National Park. Such a super concentration of geothermal expressions is pretty staggering and definitely worthy of any enthusiast of geology, or anyone who likes to see super-pressurized steam explode into the air. Driving into the park, you are almost instantly greeted by several turn-outs featuring geysers or other interesting anomalies. Even when hiking or out to view wildlife, its not uncommon to happen upon a boiling hot spring in the middle of a field. I stopped to photograph bison and notice the river had several gurgling fountains of subterranean gasses surging toward the surface. Despite the many warnings, dozens of park visitors are injured each year by boiling water or noxious gases. Just last month a tourist from Japan, leaning over a railing to get a perfect photo, fell into a hot spring and was killed. For my part, I stuck to the trails. The most popular of these geothermal wonders has to be Old Faithful. 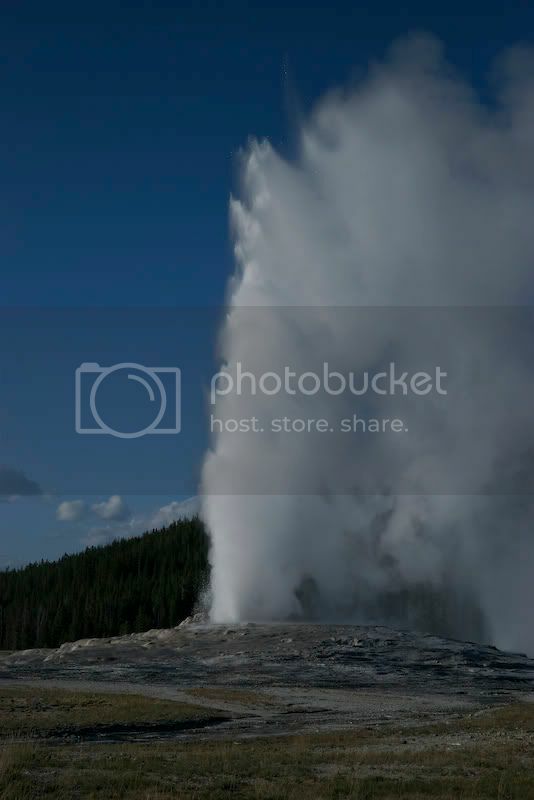 In many ways, Old Faithful is the celebrity geyser of the park, surrounded by no fewer than three lodges, two restaurants and numerous souvenir stores. 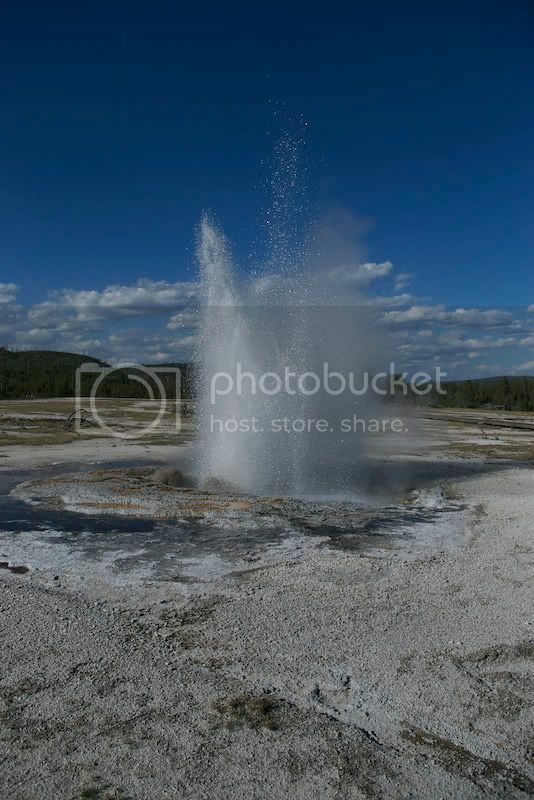 About every 65 minutes, the geyser will erupt to a height anywhere between 100 and 200 feet. Park scientists have developed models that allow them to predict its eruption within +/- 10 minutes, and the approximate time of eruption is posted on large signs for passers by. Despite this frequency, enormous crowds are drawn to each eruptions, filing the viewing area to capacity. Following the eruption, the crowd breaks into applause for reasons I don't really understand. Despite all the hype, when that thing really blows, its pretty impressive. 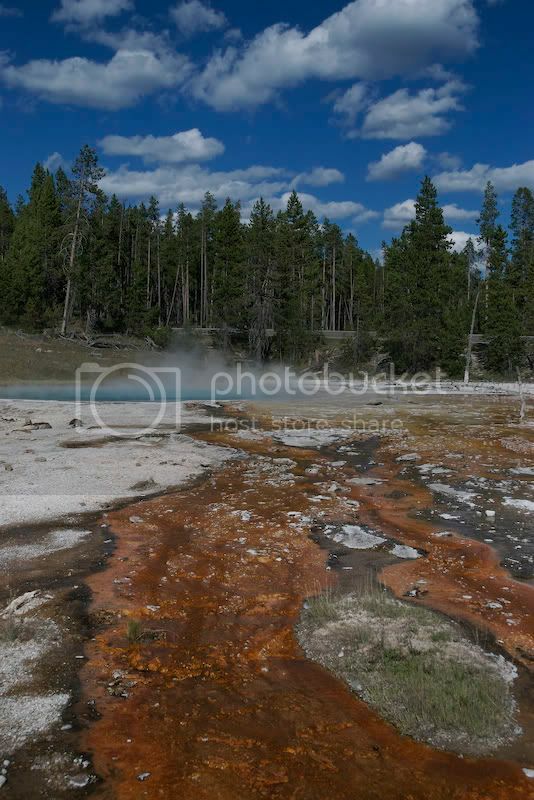 Having visited Lassen Volcanic Park numerous times, I was somewhat accustomed to seeing geothermal features, although those in Yellowstone were far more impressive. 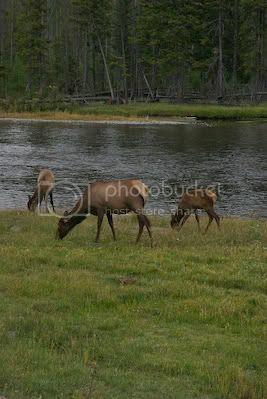 What intrigued me more was seeing Yellowstone's vast collection of wildlife. I have been to Yosemite about 25 times and have seen two bears. In Yellowstone, I saw six the first day. In addition to marmot, bison, elk, moose, coyotes, the bears seem to be the star attraction. You don't really need to have a keen eye or venture far from the main roads, just look for the crowds of stopped cars and be willing to jump out and see what everyone else is gawking at. 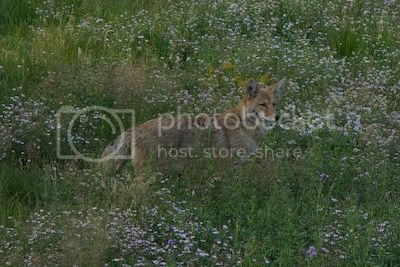 For their part, the animals seem mostly oblivious to people unless you get too close. 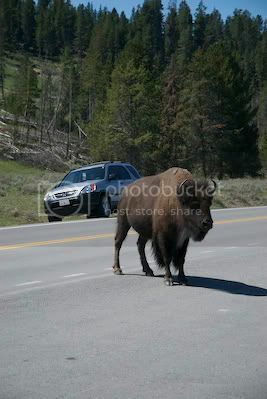 Bison are the most dangerous, goring numerous visitors each year. They are ill-tempered and tenacious, chasing their chosen prey for upwards of an hour. There are strict regulations about how close one is allowed to get to wildlife, but using common sense is your best guide. Anytime your actions cause an animal to react, you are too close. 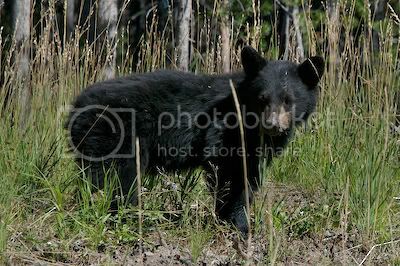 Bears, when protecting their young or a fresh kill, are especially dangerous. Most human injuries from wildlife are deserved, but sadly the animals must often be destroyed by park personnel once they are deemed to exhibit aggressive behavior. Most animal deaths are the result of inattentive or speeding motorists. As such, speed restrictions are strictly enforced. Yellowstone was an eye-opening experience for me for a couple of reasons. 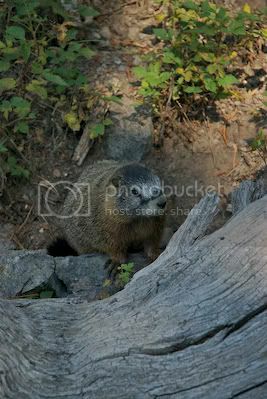 Firstly, the wildlife and variety of landscapes were very impressive and certainly worthy of their national park status. What I found to be challenging was the enormity of crowds and how the park has evolved to accommodate them. Aside from visitors, there are about 4,000 employees of the park's concessionaires, the private contractors who run the park's 12 general stores, 9 lodges and approximately 2,300 hotel rooms. In addition, there are about 800 park service employees maintain the park, enforce regulations and look after visitor safety. 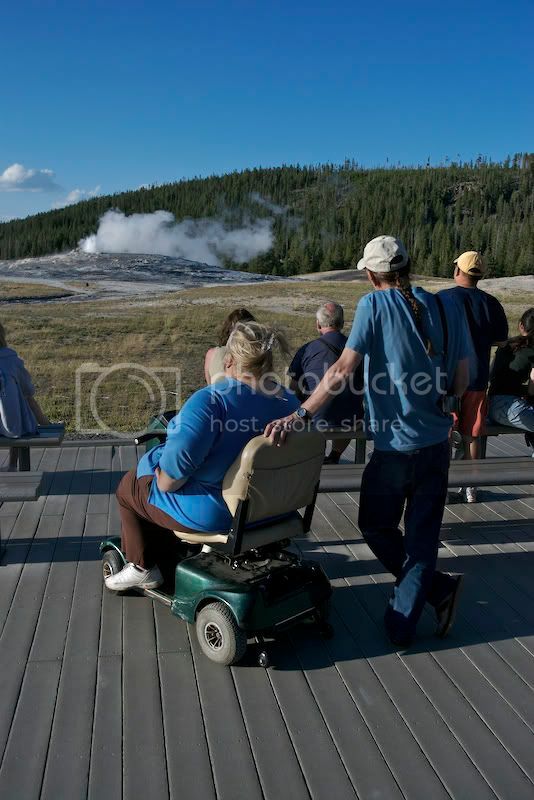 I commend the park service for making the park so accessible to the broadest possible public audience; I saw numerous visitors in wheelchairs along the park's many paved paths near main attractions. On the other hand, the vast number and variety of visitors, with varying levels of sophistication has force the park service to orient their facilities to this lowest common denominator such that much of the park felt like a theme park run by litigation attorneys. The excessive emphasis on through-put and safety can be a bit frustrating for more experienced park goers, forced to submit to the park's padded cell orientation to "protect" the visiting public. Some of this development I'm sure can be attributed to the park's for-profit concessionaires whose focus groups I'm sure found that most Americans would like to buy ice cream and souvenirs about every 10 miles, but I'm not sure the park service has fully lived up to its preservation mandate in these respects. If you're a novice park goer, you'll find Yellowstone to be both impressive and easily enjoyed. If you're a more experience outdoorsperson, you ought to see Yellowstone to get a sense of what the Disney-ifcation of the National Parks could become. National Parks are not zoos, man-made environments constructed to simulate wild environments in a natural setting, but rather should be uninhibited natural landscapes protected to showcase nature first, and visitors second. All of this aside, I highly recommend a visit. Comments welcome.